There are over 2000 voluntary, third sector organisations in Glasgow and virtually all of them have one thing in common: they are governed by volunteers. 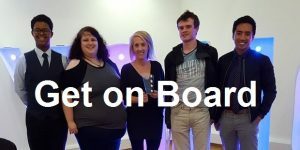 Whether these volunteers are called board members, Trustees (the term we tend to use) or Directors – it is they who govern the organisation and make sure it achieves its aims, is successful, well run and well managed. The role of the Trustee is a rewarding, varied and challenging one – luckily the number and diversity of organisations means that your interests and skills can be easily matched. Becoming a trustee can feel like a big commitment but it needn’t be scary and in most cases you only need a few hours a month. We know that some people are put off becoming a Trustee because they think that some legal or financial knowledge is needed. But in fact, a whole variety of skills and experiences are needed for a board to function well and everyone has something that they can offer. There is a Management Committee that needs you. Still don’t feel you have the skills? One of the great things about becoming a Trustee is the learning potential. Very often Trustees enter the board with one skill set and then develop a whole new set of skills, experience and knowledge as a result of their experiences with their Management Committee. Trustees are an asset and a resource to any organisation. Just as an employer invests in a member of staff through training and development, Trustees should also receive support to assist in their role. Volunteer Glasgow has a new subscription service for people who are thinking of becoming a Trustee: you can subscribe in the box below and have new board/trustee opportunities delivered daily to your email inbox every time we publish a new opportunity on behalf of an organisation.